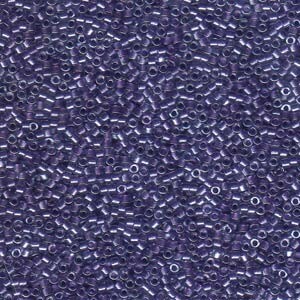 Miyuki Delica Beads 2,2mm DBM0906 inside colorlined with sparkle Crystal Purple 7,2 Gr. 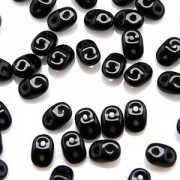 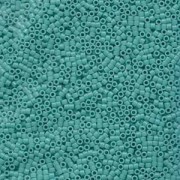 Miyuki Delica Beads 2,2mm DBM0729 opaque Turquoise 7,2 Gr. 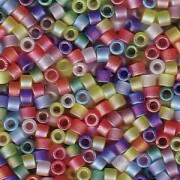 Miyuki Delica Beads 2,2mm Mix43 matte Rainbow AB 7,2 Gr. 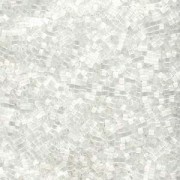 Miyuki Delica Beads 2,2mm DBM0635 silverlined alabaster Taupe 7,2 Gr. 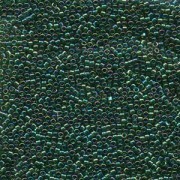 Miyuki Delica Beads 2,2mm DBM0175 transparent rainbow Emerald 7,2 Gr.